By Pirate Nick, April 28, 2014 in Speedway Betting. Janowski over 5 tonight for me. Id rather go under for janowski especially around bv,woffy over 9 for me looked much better last ride in gp should get double figures with only bech and pk the possibilities of beating him. I might go Holder over 9 aswell. Janowski should beat Nicholls and Cook. 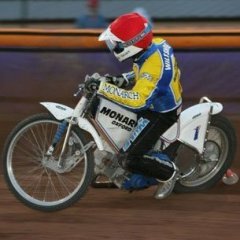 Not on current form plus its there home track,janowski only got 5 at swindon a polish size track. So wouldn't be to sure as he wont get ht15. yeah there is that possibility cover exactly 9 you should get your money back cant see him getting 8 or under. Id like to bet Nicholls @ ev to outscore Janowski. I am just going for Holder over 9 now. Still think Janowski will score over 5 but Janowski has had some poor performances around Kirkmanshulme Lane. I'm using all my savings, I really need this money so I hope my bets come in; I haven't thought about what happens If I lose these bets. Don't give Poole a prey the Pirates will carry Milik and Smart throughout the meeting. Please don't compare Nicholls and Cook to Holder. Noddy is miles above their level and only Zagar stands a chance of beating Noddy lad.